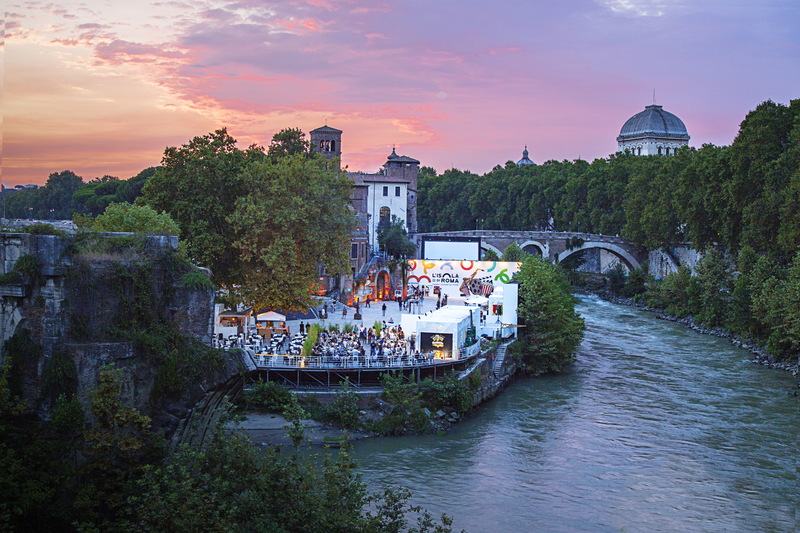 Rome has been a magnet for travelers and photographers for many years and one of the best ways to explore and photograph Rome is along the banks of the Tiber. 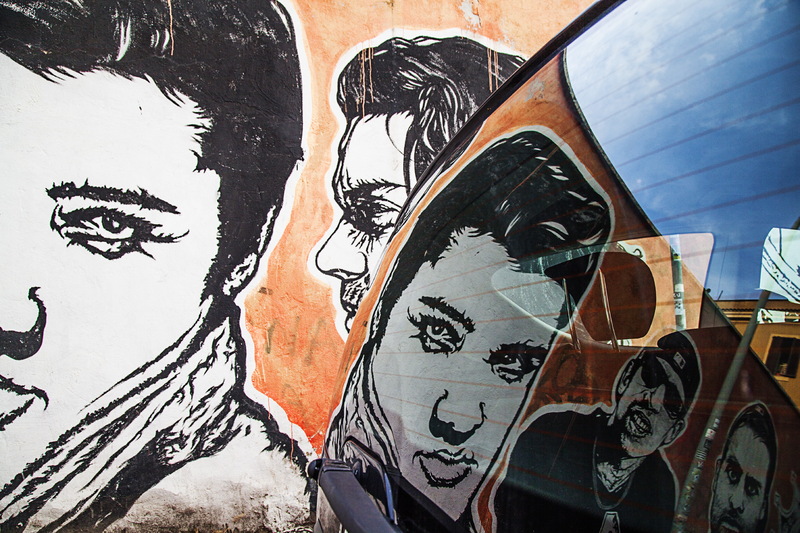 It offers a great mix of iconic shots and opportunities to photograph hidden gems. All photographs by Marco Bulgarelli. Learn more about Marco here. The 3rd longest river in Italy- the River Tiber, weaves its way right through the center of Rome and provides many a photo opportunity for keen photographers. Although the river banks are no longer the hub of city life (as in London or Paris) due to the river being unnavigable and somewhat hidden behind the walls built to tame and contain it from flooding, there’s still plenty to explore. Of course, all visitors want to capture the most iconic shots from the banks of the river Tiber and why not when there are such great views to be had! 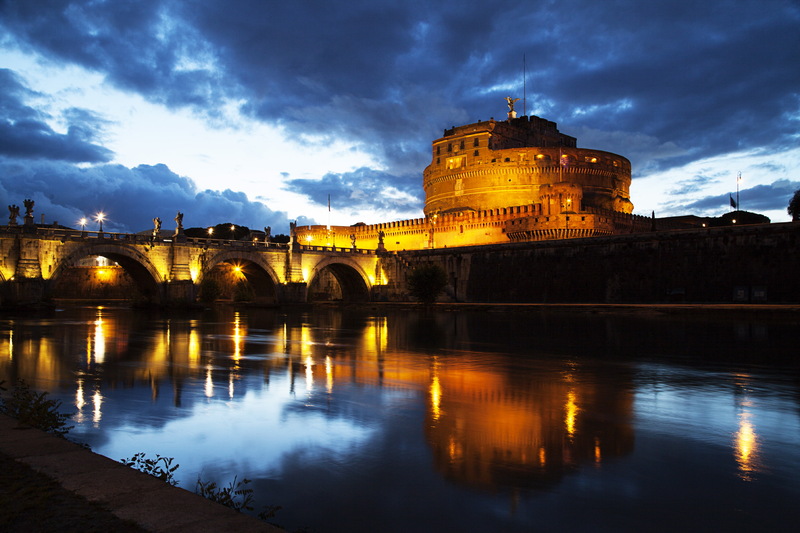 Getting the iconic shot of Castel Sant’Angelo and St Peter’s Basilica from the historical Ponte Sant’Angelo is a must-do as is capturing the basilica at night when it’s lit up in its silvery-white glory. But when you’re standing in the exact same spot as 1000,000 other photographers before you, it’s difficult to put your own unique spin on the scene. If you want to capture hidden gems, get insights and get even more out of your trip, consider partnering with a local photographer who has made photography their career who can get you to the right spots at the right time. For example, instead of photographing the basilica by standing on the Ponte Sant’Angelo, you can stand below Ponte Umberto I using this bridge to frame the iconic church. 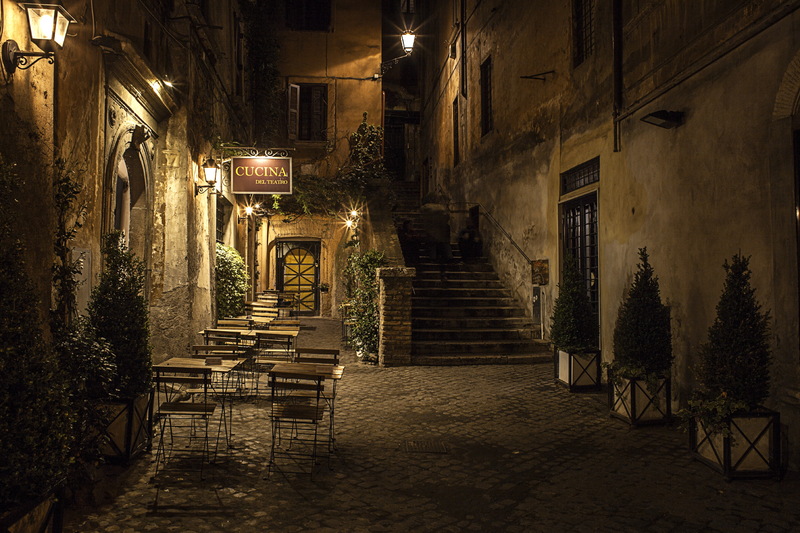 The charming medieval neighborhood of Trastevere on the west bank is a delightful place for capturing some details of local life with bright red geraniums filling the windowsills and laundry strung up high overhead on the narrow cobblestone streets. Tourists usually stop to photograph the famous and historical Ponte Sisto, the bridge with the circular oculus. 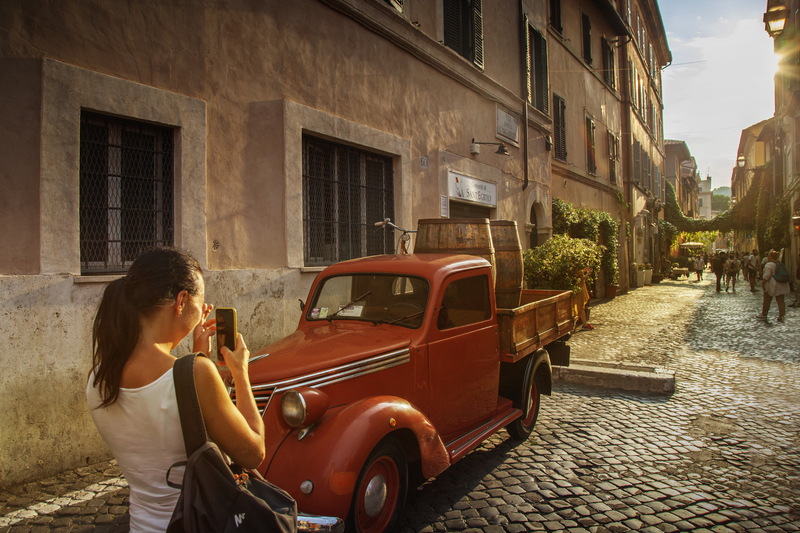 They’ll capture the reflection of the bridge and use the row of trees to create a nice leading line but after wandering on past the colorful cafes and restaurants will call it a day, thinking that they’ve seen all that Trastevere has to offer. 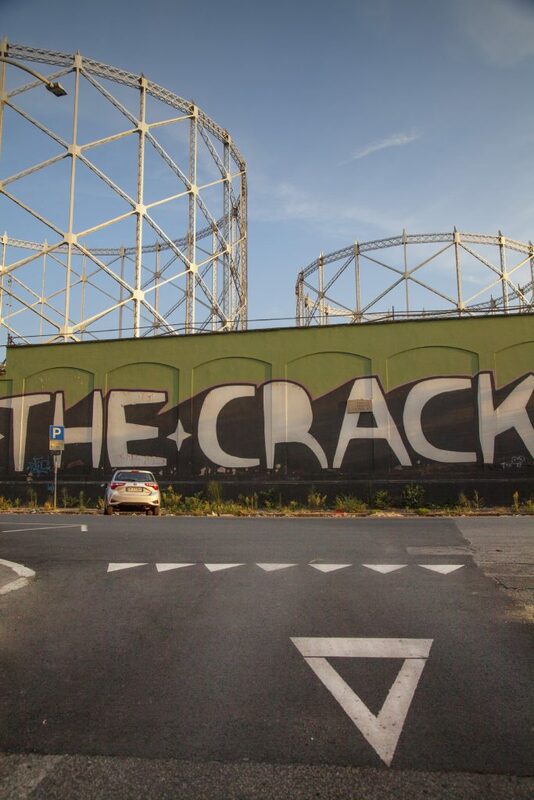 With a local photographer by your side, you can dig deeper, seeing their own favorite hidden corners of the neighborhood, the ones that only local residents know about. Tiber island is another place worthy of exploring with your camera. Most locals only use the island as a crossing point in order to get from A-B but a photographer knows that this place is worthy of a stop. It’s tiny but tranquil, reminiscent of a medieval hill town with a charming church and two beautiful old bridges. An island of healing and medicine, you’ll be able to capture the details relating to the island’s past whilst also getting the iconic shot of the river rushing past with the island spread out before you. When crossing Ponte Fabricius, the oldest bridge in the city that dates back to 62BC, and entering Rome’s Jewish Ghetto many visitors presume they’re going to walk the historic Jewish Quarter and don’t realize that Jewish culture is still alive and flourishing here. Walk the cobblestone streets, photograph the synagogue, the ruins, fountains, and quaint corners containing hidden courtyards that only a local can lead you to without getting lost! Step inside the kosher bakeries to taste and photograph the baked goods, capture the menorahs that fill the shop windows, and delight in the details with the religious symbols that either hang on or are embedded into the walls whilst learning what the symbols mean and all about the history of this quarter. All photographers know that the time of day and quality of light can make or break a shot, that’s why it can be such a struggle to get decent shots when you’re in a new city for a limited amount of time – A lot of it comes down to luck. But with a local pro photographer by your side, luck doesn’t come into it, experience does. They’ve already spent years wandering the city and know the best place to be when the clouds roll in so that you can capture an atmospheric cityscape shot, where to go when the rain falls, and how to use the midday sun to your advantage. A local guide can also lead you away from the busy tourist trail and back in time to discover some of the cities picturesque riverside neighborhoods. Not only will you be seeing a real slice of Roman life, something that many tourists miss out on, but you’ll also be learning about photography from a pro and hearing local history and personal stories about the places you pass – and making a new friend! Much better than walking alone, camera in one hand, phone with Google maps in the other! 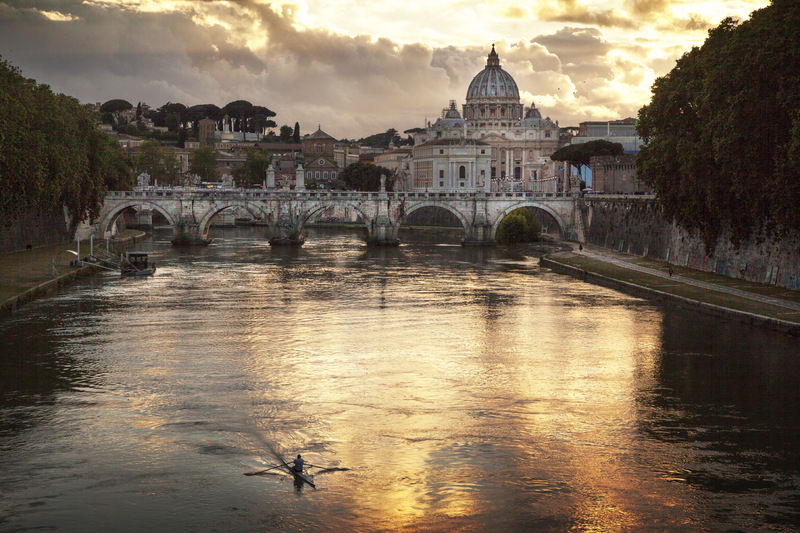 Check out our photo experience- Along the Tiber – Photographing Rome by the River offered by Marco Bulgarelli – a native Roman and an award winning photographer. Newer Post Baseball and Brake Pads	Older Post Images from the CAVA+NYC SPC+Loculars New York Photowalk! !